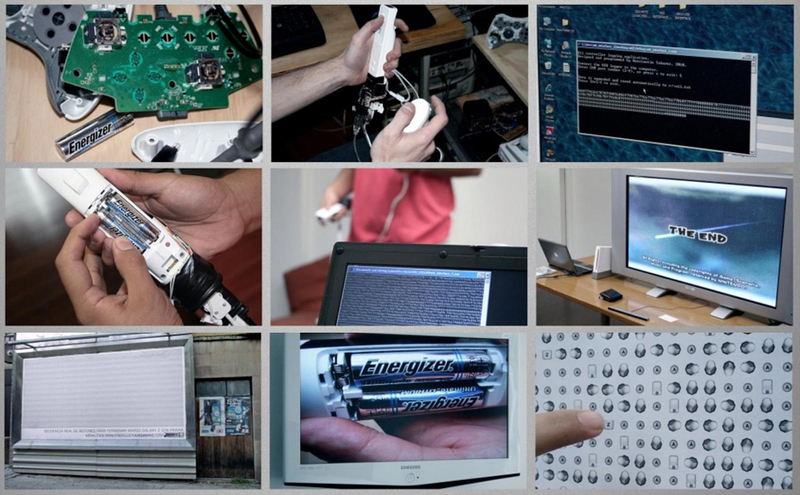 Energizer Lithium batteries are presented as the longest lasting AA battery for Xbox and Wii controllers in Juega Mas (Play More), an interactive campaign developed by DDB Mexico. 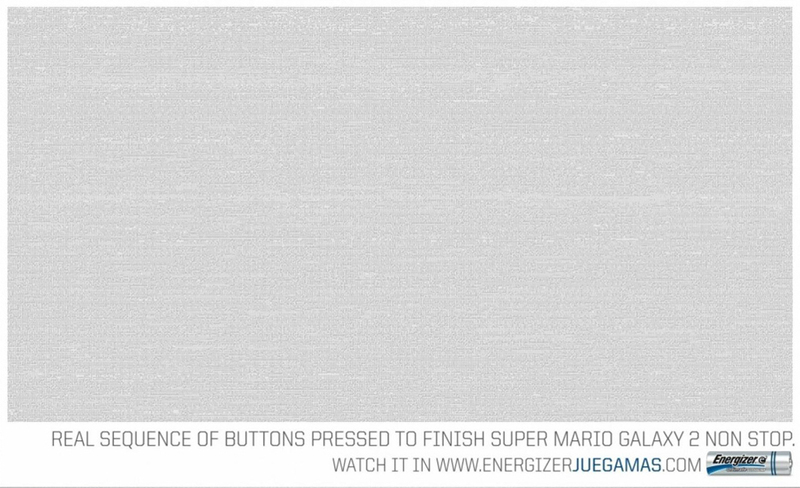 The site sets out to show gamers the total number of buttons that a gamers press in order to finish Super Mario Galaxy 2, Modern Warfare 2, Prince of Persia: The Forgotten Sands, and Bioshock 2. The agency developed a program and modified controllers to register the sequence and number of buttons pressed during game play. Players willing to finish games in one go were invited to take on the project in shopping malls with video game stores, accompanied with a video explaining the process. 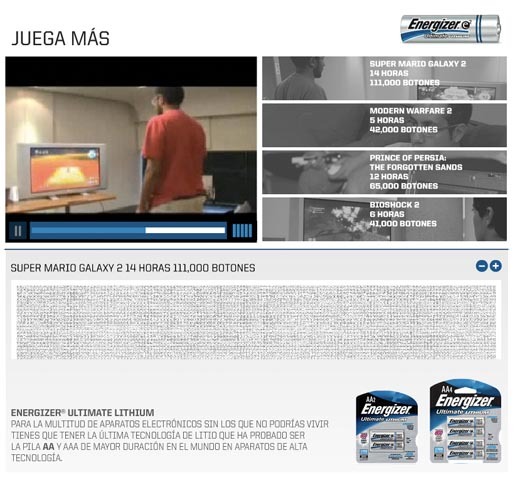 The results were published on www.energizerjuegamas.com. The Mario Galaxy 2 part of the campaign won a Silver Outdoor Lion at Cannes Festival of Creativity 2011. The Play More campaign was developed at DDB Mexico by chief creative officers Hernan Ibarra, Walter Aregger, art director Victor Rojas, copywriter Rodrigo Rothschild, planner Juan Luis Isaza, account manager Matías Del Campo, account supervisor Stephanie Roldan, producers Marcelo Genel, Damiana Marin, illustrator Victor Rojas, software developer Konstantin Tokarev Assatiani.